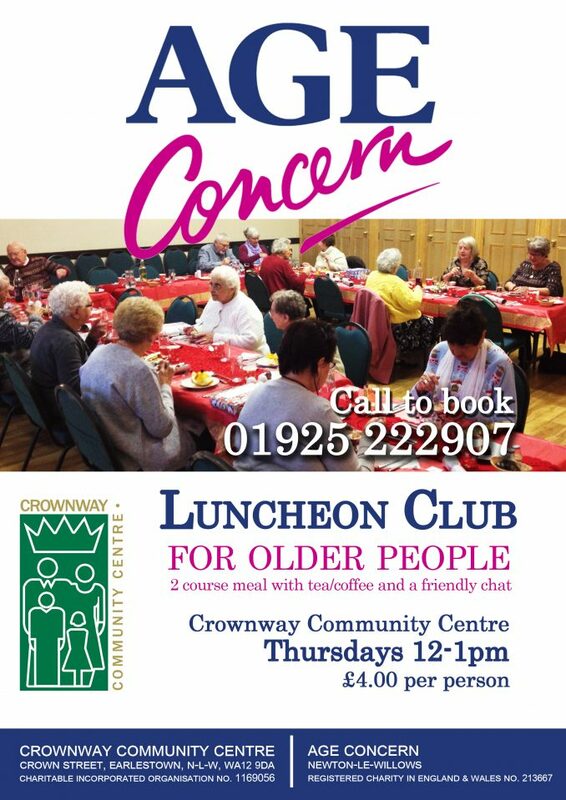 Crownway is here to offer older people the opportunity to enjoy a freshly cooked two-course lunch prepared by experienced and welcoming staff/volunteers, where you can come together each week and chat and have fun over a delicious meal in a high-class setting. We take great joy in treating our visitors to the best service, so please book early as places are limited. Dinner will be served at 12.00pm every Thursday. Places are limited so please enquire with us first. If you, a friend or a loved one would like to attend, please call the centre on 01925 222907, or drop by the Centre. This will give you the opportunity to see what goes on and to sign up for the following week.